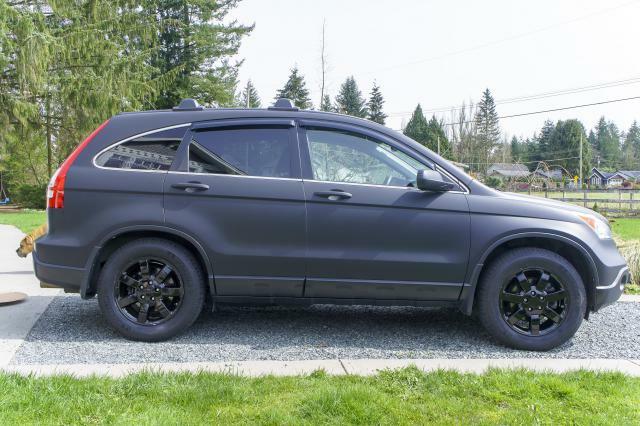 Hey guys - I am brand new to the CRV Forum and have only had my CRV for less than a year. So far I have been loving it. Here's my issue: The low fuel gauge came on just as I was pulling into the gas station and I filled up the tank full. I drove it home and didn't notice anything different. When I got in the CRV to head to work a couple hours later the Low Fuel gauge was flashing, the Fuel Range gauge just reads "-----" and the fuel level indicator says there is NOTHING in the tank? Any idea what has caused this? Anyone experienced this? If so, what was the solution? I check the fuses and they are all good. I have restarted the vehicle multiple times - doesn't do anything. I also pulled the cables off battery and didn't do anything. I'd start checking the sender unit. Look for loose wires or scum inside, from ethanol fuel. Don't know if there is an access hole in the cargo bay floor or if you need to drop the tank. We had a sender fail in our '99 Acura but the symptom was opposite...it never dropped from FULL. I guess it's also possible that you have a loose/broken wire at the instrument cluster itself. Ever had the dash apart to install speakers or an alarm? Carbuff2 is right check all of those. Also you could have a stuck float. You can try to dislodge it by rapping the tank, using a block of wood place it below the tank then with a hammer rap the hammer on to the block of wood. Let us know. Was anything done before this happened? Last edited by otto888man; 04-15-2017 at 08:43 AM. Thanks so much for replying - I appreciate it. I'll be sure to check that out. I think (from a quick google search) I can access the tank under my rear seats. I'll be sure to do that. As for your question about have I ever had the dash apart? NO. No after market anything. Its all stock and I've never had an issue with the cluster itself. Thanks for this trick - I'll give it a try. Stuck float sounds like what it might be. And NO nothing done to the vehivle before this happened. Just ran the tank low to where the low level furl light came on as i pulled into the gas station.